Well my little girl is keeping me busy-crawling at six months! I'm moving house and my husbands way too busy at work. Plus my meditation teacher Baba ji is visiting Perth. My daughter loved sitting on his lap and tugging his beard! Visit Charndra's great website to learn more. We're only using three cloth nappies a day now and my clever, clever girl can sit up on the potty all by herself. There's a book but personally I found this blog much more inspiring. Watching my seven month old eat her dahl and rice with her own hands is brilliant. I don't have to prepare special food-she just eats what I eat- and my hands are free to eat my own food! I love it. Very messy but very fun. If you take it on I'd recommend a shower curtain on the floor and a stack of long sleeved bibs from IKEA. After a traumatic birth experience and very difficult and prolonged recovery our little family needed some serious emotional rejuvenation. We chose something called Aware parenting which is basically a form of attachment parenting, but with the addition of something called release crying. Release crying is supposed to help babies release stress and tension and we have seen such a difference in our little darling since doing it. She is more relaxed and confident, she sleeps better, she is less clingy and sensitive. We feel we have really benefited from it. Read the book Aware Baby or google it, there's lots of good websites out there. We had a few sessions with psychologist called the baby calmer to get us started. Finally some pics of our darling. Julia - thanks for the update! 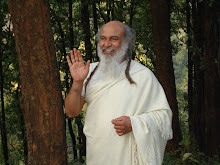 Just to say that your posts on your Ayurvedic approach to daily life were very inspiring for me. I went on to take a few days TM training course! Harriet is so sweet. She's lucky to have such calm, aware parents. Please post from time to time - even a little bit! It's so interesting and useful. Thanks Svini, very sweet of you to say so. I'll do what I can. My darling girl is getting more and more independent every day, and I can't say I'm too upset about this!! I'll post when I have the chance. Very nice to see Harriet's pictures. She is looking lovely. I haven't heard of aware parenting/release crying, but that's what I used to do when I didn't know why my daughter was crying. Just hold her and rub her back. Those incidents were quite few though. Please post some tips on EC. I am having so much trouble with my daughter for this. That's exactly what release crying is. Sometimes Harriet doesn't cry for days and some times she cries for two hours straight. But what I've found is that after a good cry in my arms she doesn't whinge or cling, she's very confident and independent. For EC tips you'll have to look at Charndra's website, she has a free email course you can sign up, it's excellent. I found summer weather really helped, and clothes without press studs. Dresses or seperate tops and bottoms for easy bottom access. Having said it's going well it is. But today I thought Harriet had finished on the potty, then she pooed some more on the floor!!! YUCK. Not foolproof. Also I don't really know what her cue is for weeing, I just offer her a wee at intervals, more frequently after a milk feed. She wears training pants at home so accidents aren't too much trouble. And when Harriet or are sick or tired or cranky, EC doesn't work. You both need to be really paying attention. Her books should be available in English. I promise, reading Pikler will change your point of view! Thanks Katharina, I looked her up and she sounds very interesting. I'll try and track down some books. Your Daughter is so cute..:) And i like your blog.. it is really Informative.